The 1992 presidential election turned on one key phrase: “It’s the economy, stupid.” The Cold War had been won. America was the sole superpower of the world. We had just won the Gulf War. And, Americans were tired. We wanted to enjoy our prosperity. It was at that moment that we officially began to separate and silo the critical issues of the day. President Reagan, twelve years before, had integrated three critical issues and focused the whole of his administration on them. These were known collectively as Reagan’s “three-legged stool.” Judeo-Christian Values. Free Market Economics. Strong National Defense. But when Clinton arrived, we were told that the economy mattered most. What a President does in his private life is irrelevant so long as the economy is booming, or so we were told. Who cares if something called al Qaeda attacks targets overseas? Why should that matter as long as we have the most powerful weapons? 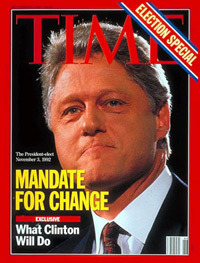 During the Clinton years, economics took preeminence. If the economy was strong enough, we could always develop a new missile or weapon. And besides, if we get every other nation hooked on Western economics, they will be so busy making money that they will forget all about war. China, we were told, is just the greatest capitalist opportunity in history and we should do everything possible to build them up in that direction. Never mind that they have “borrowed” our intellectual property and technology. There’s only one thing wrong with the proposition that we live in a newly globalized world where economics mean everything. The rest of the world failed to buy in. At the tail end of Clinton’s second term, the Chinese Peoples Liberation Army (PLA) published a new strategy under the title “Unrestricted Warfare.” We are fortunate to have a copy in Chinese as well as the CIA-sponsored English-language translation. I can sum up the message of this insightful work thusly: Warfare is a total concept. Because America is so powerful, China must use a total-war strategy and incorporate all elements of power. The key to defeating America is to attack her economy and undermine her moral society. Weapons were seen as “stock market crashes,” “currency wars,” and computer hacking. The goal in completely defeating America was to create the circumstances of societal collapse. Most recently, the Chinese have proven a commitment to expanding their military power even as their economy is struggling. Frighteningly, as our Pacific Fleet has been shrinking, the Chinese navy has been growing. Even before the Chinese book was published, the Muslim Brotherhood had written an action plan for America. They outlined a “Civilization Jihad” plan that appears designed to undermine our culture and to use our freedoms against us. We have seemingly ignored these threats because “It’s the Economy, Stupid.” After all, once the Middle East caught on to the great new world of Western prosperity, they would of course adopt Western values. We no longer argued that Western civilization was a better way. We simply had to show up with money and assume they would come along. They didn’t buy in, as evidenced by Middle Eastern turmoil. And, we are fortunate enough to have a copy of their plan to undermine America also published in English. Our vulnerability is based on the reality that economic prosperity without godly values has no meaning. Unrestrained, the love of money becomes a source of all sorts of evil. Economic prosperity without national security is easily stolen. Separating the three legs of Reagan’s stool was perhaps the greatest mistake of American history. In fact, we really should give credit where credit is due. Reagan simply returned the nation to the principles of her founding built on Christian values. Three legitimate functions of Constitutional government are 1) secure the common defense, 2) provide a legal framework to allow and foster free market economic pursuits, and 3) support a moral and just society that defends personal liberty, free speech, the free exercise of religion and a free press. All three are essential. Combining them is the miracle of America. Ignoring one or two of them is a death sentence. Sadly, that is what we will soon face if we don’t course correct quickly. Over the past quarter century, we have elevated the goal of economic gain above security and morality and paid dearly for it. Osama bin Laden understood this. He knew that the way to move Americans was through economic pain. He planned a war of 1,000 cuts. He knew that a plot to take down The World Trade Center costing maybe $100,000 would cause our trillion-dollar response but eventually weary America into pulling out. He’s dead but he was right. We thought we could Westernize Iraq and that would solve the problem. As a result, a huge amount of the blood and treasure we spent there not simply for our security but with the failed hope of developing a Western free-market base. Ironically, we might have succeeded had we stayed the course. But Americans grew weary and wanted the focus back on the domestic economy, especially in light of the 2008 collapse. As we departed, the vacuum was filled with non-economic powers with a decidedly anti-American approach. And our own government has seemed to side with those who would destabilize the region. Most recently, we have gone down the same path in regard to our treatment of Iran. We assume (despite tremendous evidence to the contrary) that if we provide a sufficient economic carrot, the Iranians will play nice in the world. That’s perhaps why we have been willing to let the Iranians have $150 billion in frozen assets. We assume that other nations have also elevated economics above security or ideology. Of course, that is not the case at all. Even if we could assume that most nations will operate in their “rational economic interest,” this doesn’t apply to rogue states like North Korea and even less so to terror groups. By definition, North Korea has chosen a path of economic failure. They are even willing to suffer the condemnation of potential allies such as China and Russia to run a nuclear test. What gets really frightening is when you join North Korea’s nuclear capabilities with Iran’s missile programs which are already nuclear capable. It’s not only national security that we have put at risk but also religious liberty and Western Civilization. A good example can be found in the embrace of Islam even when it goes against Western values. It is somewhat ironic that a court in the United States can be prohibited from displaying the 10 Commandments, yet we are told that it is ok to have a Shariah Court on American soil. Why? Is it because we truly support religious freedom, or perhaps the triumph of an economic campaign? Major banks have been encouraged to offer Shariah-compliant loans. That’s fine as it goes, unless the Shariah loans help to fund jihad as many have claimed. Is offering shariah loans a public service to provide an accommodation to an underserved community? Or, perhaps an attempt to maximize profits regardless of the risks of jihad support? A very recent example of favoring economic profit over ideals comes from Dolce and Gabanna’s offering of high-end hijab for fashionable Muslim women. Why? Because spending on Muslim fashion is growing annually with the Middle Eastern luxury market approaching $9 billion in size. But, Dolce and Gabanna are gay and once lovers. And, Islam condemns homosexuality, sometimes quite violently. Even in so-called “moderate” nations. So why support something diametrically opposed to what you believe? Money, of course. There has been an escalating effort to stifle free speech, one of the core tenants of Western civilization. The purpose? It appears to be to eliminate any criticism of Islam. Remember, President Obama said that “the future must not belong to those who slander the prophet of Islam.” In Western civilization, however, there is no legal basis for slander charges against the dead. The prophet of Islam, Muhammad died in 632. So the question becomes what exactly is being considered as slander against the Prophet? Is disagreeing with him such a crime? If so, should anyone who disagrees with Islam, the Koran, or Muhammad to be considered a slanderer? Will the ‘Red-Green Axis’ Snuff Free Speech? Consider the remarks from Hillary Clinton. Consider the recent actions of Twitter. Consider a recent House resolution. And comments from the Attorney General. The same media willing to go on at great length regarding alleged sexual abuse in the Vatican also seems willing to self-censure when the issue is Islam. Even worse, our own government has told our soldiers to ignore the sexual abuse of boys in Afghanistan. Why must criticism of Islam be silenced? To prevent hate crimes? If so, statistically speaking, the Jews should be the protected class as more than half of anti-religious hate crimes are directed toward them. Money is being aimed as a weapon against Christians who attempt to maintain their deeply held religious beliefs. Consider the bakers who are fined $135,000 simply for refusing to bake a cake. My contention is that we got to this place primarily because we elevated economic interest above all else. We recently shared how we’ve essentially outsourced some of our most critical functions to potential adversaries to save a few dollars in the contract. An American Pentagon contractor may have hired Russian coders to work on defense systems? Isn’t this the same Russia who may have just used cyber means to shut down Ukraine’s power grid? We courted the world’s largest IPO in Alibaba despite serious national security concerns. We trade with China because Chinese markets are so potentially lucrative. Even worse, we may made ourselves vulnerable as our enemies and adversaries alike now know exactly how to manipulate us. They can dangle profit and loss as a carrot and stick to make us do their bidding. An example of the “carrot” is the promise of financial windfall if we pass the Trans-Pacific Partnership (TPP). It appears that corporate America and many establishment conservatives have bought into the TPP promise. But what about that national security threat? Worse also, they can (fully aware of our national obsession) attack our economy as a means of taking down our nation. We have already shared the risk how foreign nations might take down our stock market as a means of destroying America. With $246 trillion in derivatives in derivatives, we are no doubt vulnerable at some point. It has always been assumed that no one would hurt our stock exchange because it would harm them too. Sort of Mutually Assured Destruction (MAD). Again, that assumes that all parties have a Western-economic view. If you don’t like doom and gloom, these financial industry predictions for 2016 aren’t for you, as terrorism looks to disrupt the markets. Among the interesting reads regarding predictions for investments in 2016 is Doug Kass’s two part ’15 Surprises for 2016’. President of hedge fund Seabreeze Partners Management, Doug Kass is well known as a longtime contributor to TheStreet.com and its Real Money Pro site. Taking a gloomy stance, Kass didn’t hold back as he expects terror acts, both in the physical and cyber world, to wreak havoc on the global financial markets during 2016. Among the predictions is that “Terrorism Goes Cyber”. Kass expects a large cyber terrorism event to be triggered by Middle Eastern, Russian and Chinese hackers who invade computers of the US financial industry. The results would lead to a series of trading outages affecting trading markets and overnight settlement systems. This concern is nothing new to readers of this Blog or my books, Secret Weapon: How Economic Terrorism Brought Down the U.S. Stock Market and Why It Can Happen Again and Game Plan: How to Protect Yourself from the Coming Cyber-Economic Attack. The root of the problem remains the elevation of money over all else. What we need is a President who will lead this nation and restore all three roles of government. As a people, we must demand that from our leaders. They should defend Western values, support strong national security, and ensure free market opportunity. Jewish-rooted Christianity is the soil in which all three flourished in American. What is needed is a heart change in Americans who have made money their god. If we want to save America, it can’t just be the economy, stupid! We must get our hearts and priorities right by returning to God and start including a national security view in our decision making. 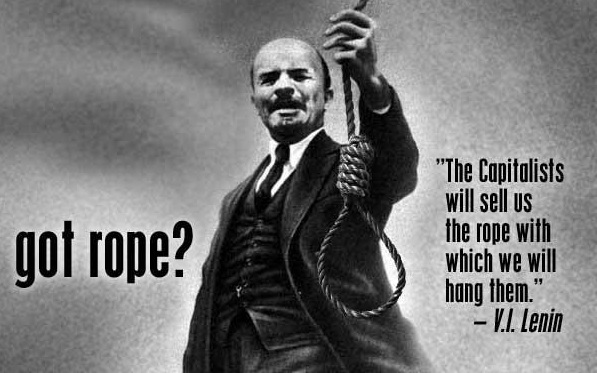 Are We Now Buying the Rope On Which We Will Hang?